In a shipyard, a major milestone is reached in when they start cutting steel as it marks the transition from the design stages into the production of the vessel. While MUN SailBOT doesn't cut steel, we do cut balsa. The photo below shows 1/8 balsa sheet being cut into frames for the rudder using a laser cutter. The rudder was design by Adam Day using XFLR5 (aerodynamic simulation software) and Rhino (CAD program). 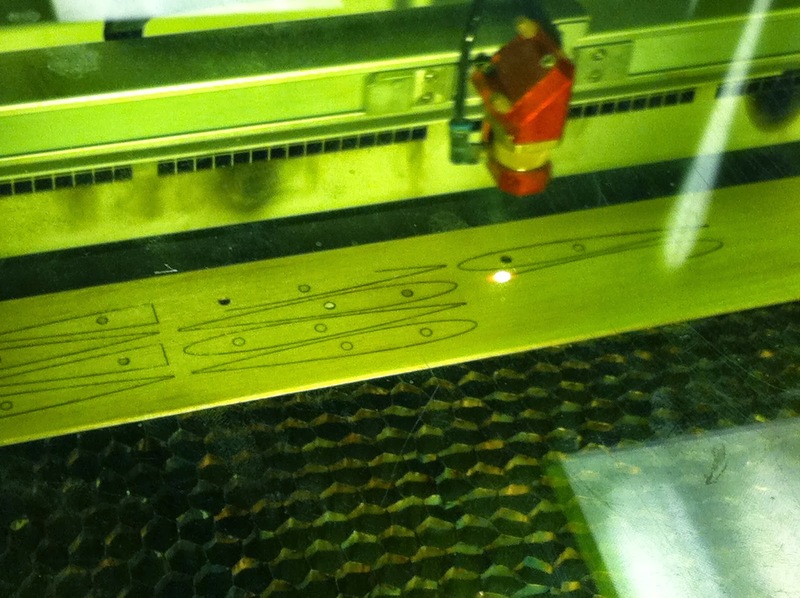 From the 3D Rhino model the shapes of the frames were extracted and exported to the laser cutter. Although the process of cutting is quite fast, we encountered numerous problems exporting the geometry of the frames in the correct format and required many test runs. It is thus a rewarding stage to reach as it marks surmounting technical problems and moving into the production of one of the many elements of the new boat.